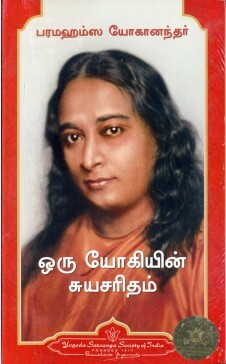 The value of Yogananda's Autobiography is greatly enhanced by the fact that it is one of the few books about the wise men of India which have been written, not by a journalist or foreigner, but by one of their own race and training - in short, a book about yogi by a yogi. Countless readers of his autobiography have attested to the presence in its pages of that same light of spiritual authority that radiated from his person. Hailed as a masterpiece when it first appeared in print, the book set forth not only the story of a life of unmistakable greatness but a fascinating introduction to the spiritual thought of the East - especially its unique science of direct personal communication with God - opening up to the Western public a realm of knowledge hitherto accessible only to a few. Paramahansa Yogananda's remarkable life story takes you on an unforgettable exploration of the world of saints and yogis, science and miracles, death and resurrection. With soul-satisfying wisdom and endearing wit, he illuminates the deepest secrets of life and the universe - opening our hearts and minds to the joy, beauty , and unlimited spiritual potentials that exist on the lives of every human being. Today 'Autobiography of a Yogi' is recognized around the world as a classic of spiritual literature. 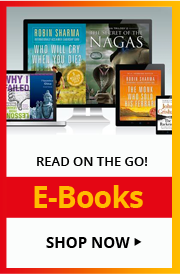 It is our hope that all readers of this inspiring work - those who are encountering it for the first time as well as those for whom it has become a long-cherished companion on life's path - will find their own souls opening to a deeper faith in the transcendent truth that lies at the heart of life's seeming mysteries. Born in Gorakhpur, Uttar Pradesh on January 5, 1893, Sri Sri Paramahansa Yogananda devoted his life to helping people of all races and creeds to realize and express more fully in their lives the beauty, nobility and true divinity of the human spirit. After graduating from Calcutta University in 1915, Sri Yogananda was initiated into sannyas by his guru Sri Sri Swami Yukteswar Giri. Sri Yukteswar had foretold that his life's mission was to spread throughout the world, India's ancient meditation technique of Kriya Yoga. He accepted an invitation, in 1920, to serve as India's delegate to an International Congress of Religious Liberals in Boston, USA. Paramhansa Yogananda founded Yogoda Satsanga Society of India/ Self-Realization Fellowship as the channel for the dissemination of his teachings. Through his writings and extensive lecture tours in India, America and Europe,as well as through the creation of numerous ashrams and meditation centers, he introduced thousands of truth-seekers to the ancient science and philosophy of Yoga and its universally applicable methods of meditation. Paramahansaji entered mahasamadhi on March 7, 1952 in Los Angeles.